In February 2016, Boloco became a certified B-Corp as well as a Delaware Benefit Corporation, joining an inspiring group of companies (Patagonia, King Arthur Flour, Warby Parker, etc.). Our challenge, of course, has been to make sure that in our long-time aspirations to “use business as a force for good” we didn’t let the company fail financially based on blowing the fundamentals. Demonstrating adequate profitability was, ironically, the hardest aspect of becoming a B-Corp. Thankfully, July marks the 6th month in a row of full profitability, which I think allows me to say that this challenging turnaround which started in June 2015 when I repurchased the Company is officially in the rear view mirror. Thanks to many of you who have counseled me and offered encouragement during these past two years. Now let’s see if we can hold our footing and make Boloco special again… visit us soon! It’s been 10 years since the first generation of B Corps were certified, and it’s been almost five years since Massachusetts began recognizing benefit corporations. What’s driving the Bay State to join the better business movement? For John Pepper and CEO John Pepper, buying back his burrito chain after several tough years wasn’t enough to get his business back on track. 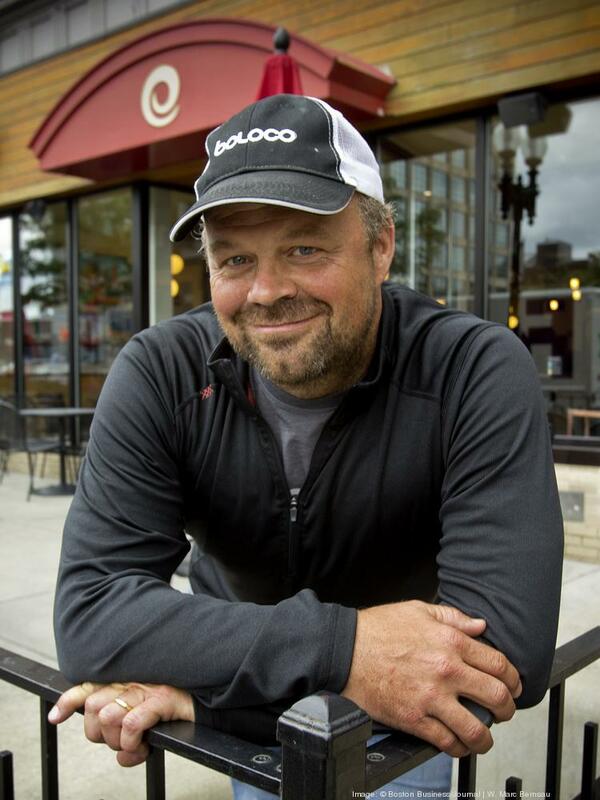 One of the first moves he made after regaining control of the chain was to get Boloco certified as a B Corp and incorporated as a benefit corporation — two designations intended to signal a company’s commitment to both profit and a higher purpose. Pepper wants to rebuild and strengthen Boloco on business terms he can support. But he faces challenges: the chain now has nine locations, following the recent closings of a restaurant at Harvard Square and another in Warwick, Rhode Island. That’s less than half the number four years ago, when Boloco had 22 locations in Massachusetts, Rhode Island, New Hampshire and Vermont. Boloco isn’t the only Bay State business using the two ‘B’ designations — B Corps and benefit corps — to challenge the rules of business. Local companies, from public relations firms to investment banks, have started to realize that focusing on profit maximization alone isn’t the only way to do business. Forty-nine Massachusetts companies have been B Corp certified since 2007, and 75 companies are now recognized as benefit corporations by the state since the designation was made law in 2012. Massachusetts is sixth among all 50 states for number of B corps, behind California, New York, Colorado, Oregon and Pennsylvania, in that order. But if you ask Holly Ensign-Barstow, a team manager of the nonprofit B Lab that certifies B Corps, the public’s understanding of the two designations hasn’t kept up with the progress the movement is making. “There’s just a lack of knowledge about what constitutes a B Corp versus a benefit corporation, and I think, unfortunately, direct employees of B Lab might be some of the only people who know the concrete differences and are able to speak to the specific terminology,” Ensign-Barstow said. B Corps are for-profit companies that meet certification standards outlined by a nonprofit organization called B Lab. Benefit corporations, on the other hand, are a creation of the state — a legal classification that gives a company legal protection to consider both financial and non-financial interests when making business decisions. The two designations may be different, but both are considered a part of the better business movement that deviates from traditional businesses practices. Burrito chain Boloco is one of 14 Bay State companies that’s both a B Corp and a benefit corporation. “When I came back, I bought out all institutional investors, so I was able to — for the first time — do whatever I thought was best for the company,” Pepper said about pursuing the two designations. In 2013, Pepper resigned from his position of CEO for Boloco following a disagreement with the company’s board of directors. Two years later, Pepper bought the restaurant chain when it was in what he described as a “precarious financial situation.” Now he’s using Boloco’s B Corp certification and benefit corporation status to get it back on track. Pepper said that the legal protection he’s gained for decision-making as a benefit corporation has been one of the greatest benefits since earning the new designations. “Never again did I want to hear from any governance body, like a board of directors, ‘Times are tough and it’s our fiduciary responsibility to maximize profit,’” Pepper said. He said that he has always cared most about Boloco’s people, so conversations about raising wages were some of the company’s most difficult because he’d receive pushback from the company’s board of directors and investors since doing so didn’t maximize profit. “(But) now being a benefit corporation forces people to consider other aspects of decision-making from a legal standpoint, not just from a ‘good company’ standpoint. This is legal, which I felt was important,” Pepper said. So, at the start of 2016, Pepper increased Boloco’s minimum wage to meet or exceed the ‘livable wage’ standard for the first time. Other than working to close the wage gap, Boloco has also continued its commitment to use products that are better for the environment, like low-flow water heads and LED lighting. And opting to use those more expensive options when money is tight hasn’t been easy. “There’s always temptation, when you’re struggling financially, to take another look at those things and say, ‘Do we really need organic t-shirts?’ and go backwards to save money,” Pepper said. But Pepper said being a B Corp and a benefit corporation has kept Boloco accountable, and he thinks that will be important as the company regains its footing. Pham of Tech Networks contends that getting B Corp certification isn’t easy. “Other than (the certification) just being on marketing materials and things like that, to be a real, true B Corp you actually have to eat, live and breathe it,” said Pham. But that’s not to say that Boston-area companies aren’t up for the challenge. Last June, a group of Boston businesses came together to establish a Boston chapter of Conscious Capitalism, a movement that aims to solve major issues, like inequality, climate change, racism, poverty and social injustice. Like the B Corp movement, Conscious Capitalism unities businesses with similar values to help promote greater change. “The idea behind B Corps is a little bit different but the core principles are still there. It’s, ‘How can you have both profit and purpose?’” said Darby Hobbs, president of Conscious Capitalism Boston. Hobbs said Conscious Capitalism Boston has 30 members that have been involved since the chapter’s founding and continue to play a large role in the chapter. She said the chapter is working on recruiting more members and was very well-received during its first year. Conscious Capitalism Boston welcomes all companies that support the movement, from B Corps and benefit corporations to companies who haven’t yet made a quantifiable commitment to their missions. ← So long Boloco Harvard Square – Hello Zambrero!